WILD FOXGLOVE seeds (digitalis purpurea) from Wildflowers UK. Foxglove- Digitalis purpurea is one of our more familiar wildflowers and the cultivated varieties are often used as the backdrop to garden borders. 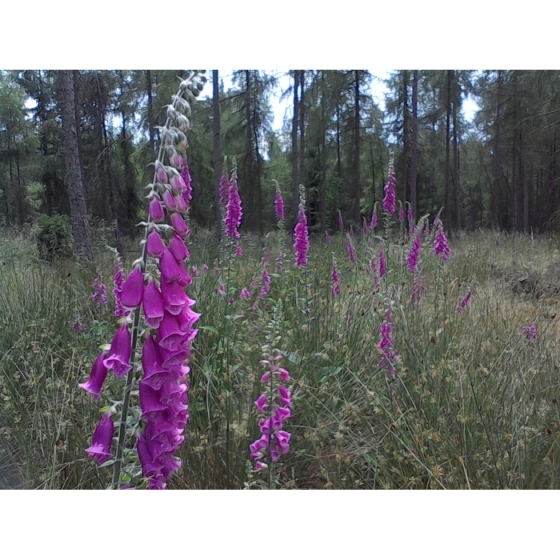 Wild Foxgloves grow best in the shade of woodlands and hedgerows but will also work quite well in full sunlight on dry sandy soils. However they will only grow well on acid soils that do not contain lime. 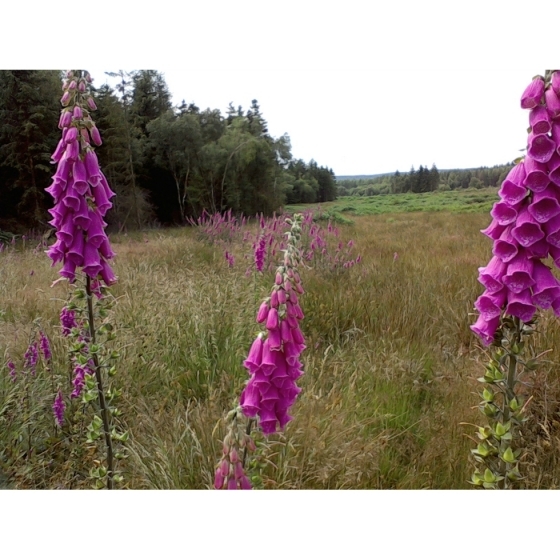 Foxgloves are tall, stately plants and the wild variety can be used in many garden situations. They make a perfect plant for cottage gardens and work well against a fence or wall. 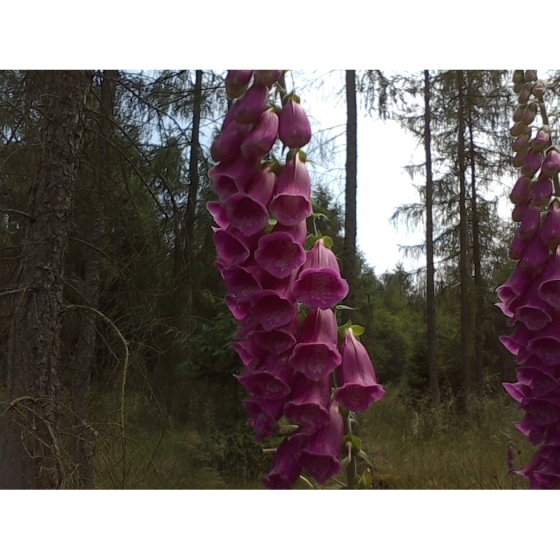 Foxgloves flower in June and July and are excellent plants for attracting insects, especially bees and butterflies. In the wild, Foxgloves host the Heath fritillary as a breeding butterfly that will lay its eggs on the plant. Wild Foxgloves look best grown with other cottage garden or woodland plants such as Meadow Cranesbill, Musk Mallow, Nettle- leaved Bellflower, Small Scabious and Field Scabious. Wild Foxglove seeds can be over sown directly into trays of ericaceous compost in the spring. The seedlings can then be pricked out and grown on, for planting out later in the year. It is important to do this before the autumn, as plants do not over winter particularly well if left in trays or pots. Ensure that a suitable planting position is found where the soil does not contain any lime and if necessary add a little ericaceous compost to the planting spot. Foxglove plants are biennials that will self-seed quite readily given the right conditions. 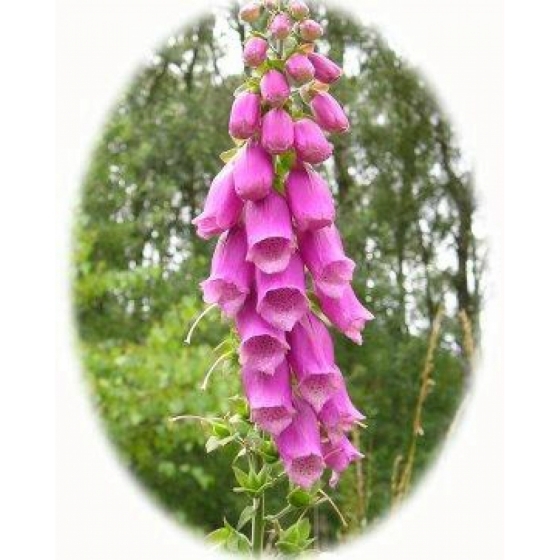 To purchase Wild Foxglove seeds, please select a quantity above and click add to cart. To ensure the best chance of success, we sell all of our wildflower seeds by weight, which ensures each wildflower seed packet contains a good quantity of seeds. The recommended sowing rate is 1 gram per square metre, and the number of Foxglove seeds per gram is approx. 12000. All of our Wildflower seed packets contain seeds of Native British provenance.